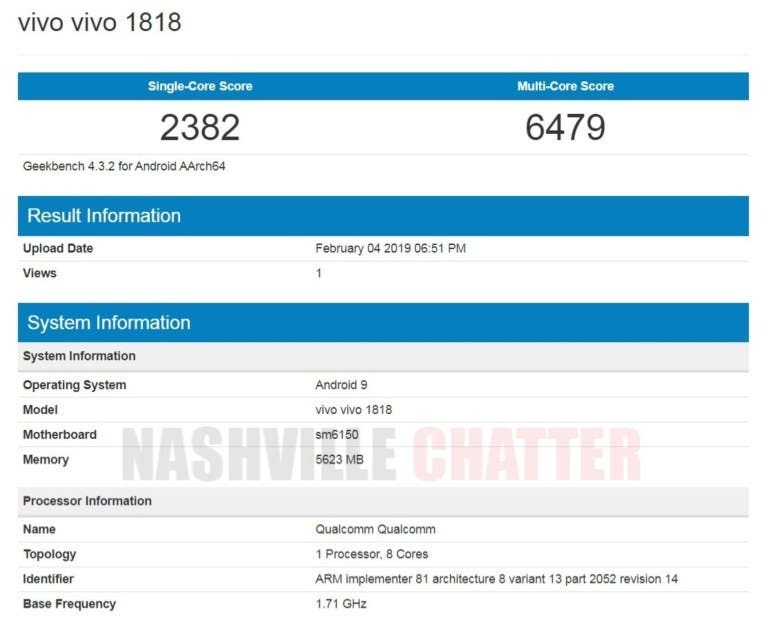 An upcoming VIVO phone with 1818 model number will come with a Snapdragon 675 chipset coupled with 6GB of RAM under its hood- reveals a Geekbench scorecard that that was published a few hours ago. The same device with the same model number had earlier secured a certification in Thailand where it was revealed that it will launch as the VIVO V15 Pro. The Snapdragon 675 SoC is a recent offering from Qualcomm, but rumors have it that it has the sm6150 model number, so its pretty sure the SD 675 will come with the VIVO V15 Pro. The same SoC is also set to feature in the upcoming Meizu Note 9 and the Redmi Note 7 Pro from Xiaomi. The device scored 2382 points in the single-core test and 6479 in the multi-core test. Also, the benchmarking site revealed the device to be running on Android Pie. Away from the Geekbench report, previous report and teaser suggest the VIVO V15 Pro will adopt the pop-up camera architecture embracing the legacy of the now discontinued Vivo NEX. 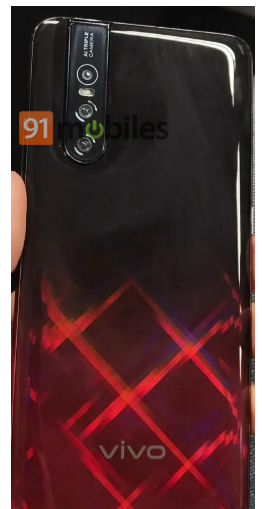 It is expected to flaunt a Super AMOLED display of unknown screen size, while its major selling points as revealed by previous teasers probably will be its Pop up selfie camera and the triple rear camera. Although the exact camera configurations have yet to be ascertained, previous leaks point to a 48MP + 8MP + 5MP combo. The primary sensor is thought to be a Samsung GM1 sensor, while the pop-up mechanism will carry a 32MP sensor for selfies. 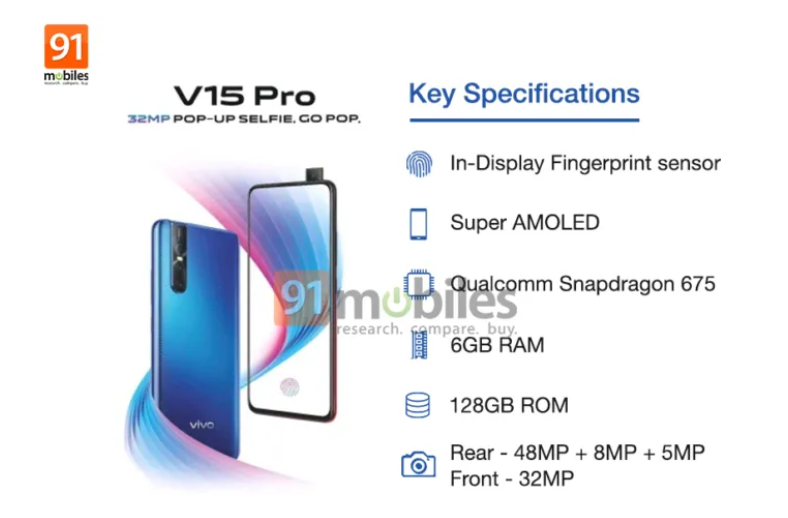 VIVO is expected to announce the VIVO V15 PRO at an event in China on February 20, though it is not clear if there will be a regular VIVO V15 probably without the pop-up camera.